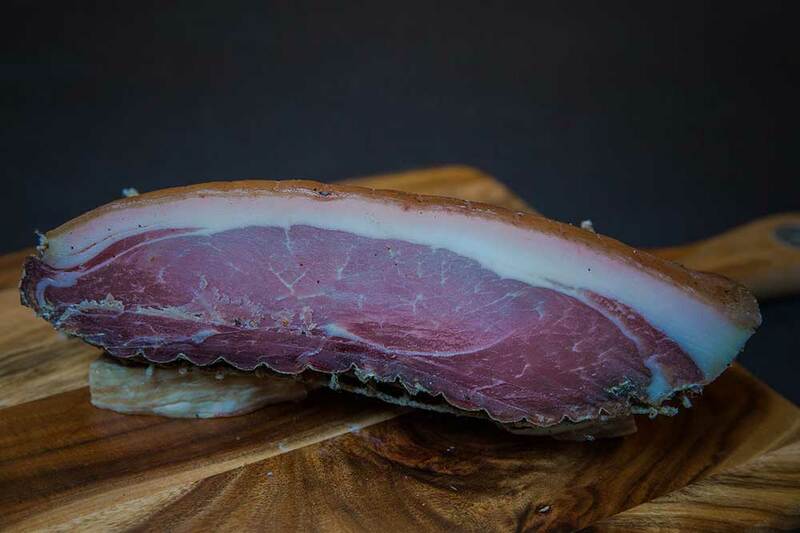 Description: Description: Noix de jambon means nut of the ham and is a favourite on French charcuterie plates. 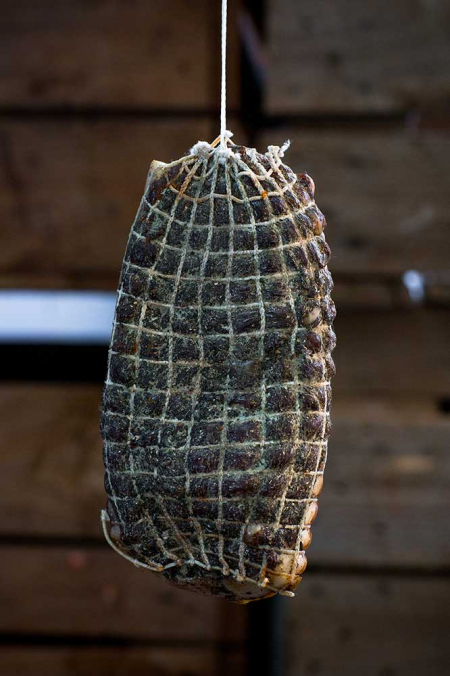 Mister Cannubi Noix de jambon is made from larger, older sows. 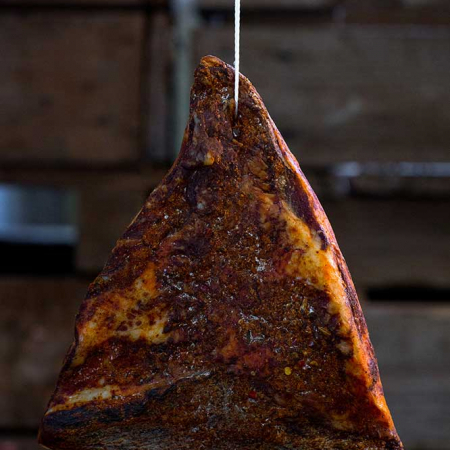 They have big, well-worked muscles with loads of flavour and generous fat cover. Selected thigh muscles are weighed, rubbed with salt, washed and lightly coated with herbs de Provence, a mixture of sage, fennel, rosemary, thyme and oregano. 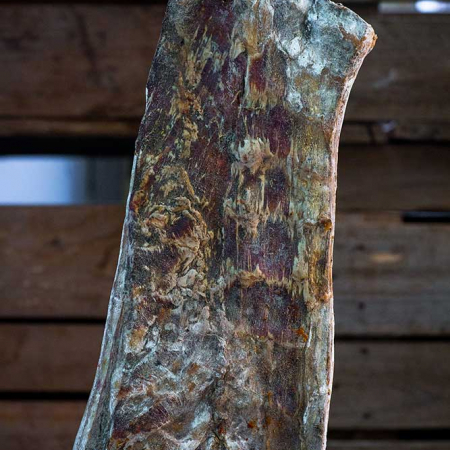 It is dried aged in the curing room for 12 weeks. Our version has a skin and fat cover giving luscious juicy texture to the lean meat with a sweet and wonderfully porky aroma with a back note of the herbs de Provence. 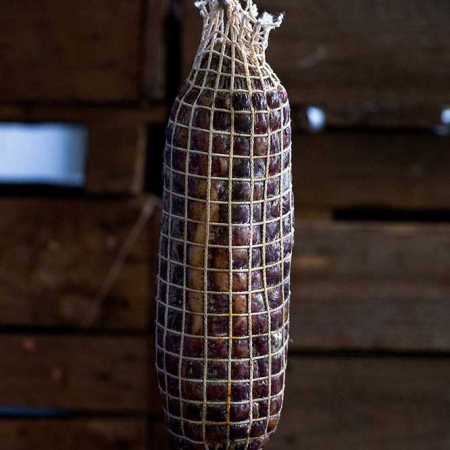 The deep pink flesh is interlaced with fine intramuscular fat giving a smooth, cool and luscious mouth feel. Slice finely across the face of the muscle and serve on a charcuterie platter, on pizza fresh from the oven or with bread.